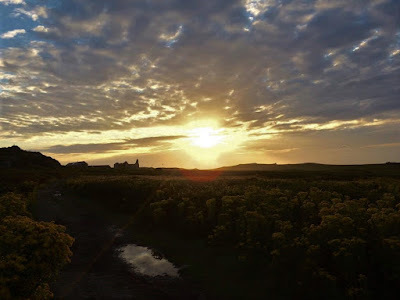 Here on Skomer Island there is so much that goes on that we don’t see. 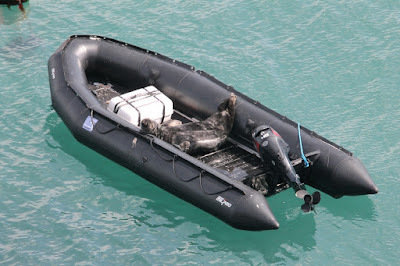 During July and August we began to receive sightings of an otter roaming about on the island. Excited by the news, we placed trail cameras at certain places on the island hoping to get a better sight of this rare and elusive mammal. While we did get fleeting views of the otter, what also excited us was the other wildlife as well as the behaviour shown when humans were not around to interfere. 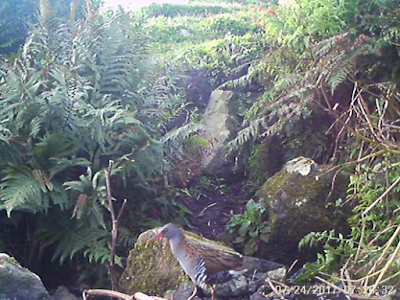 In particular, we were especially excited by the appearance of water rail! 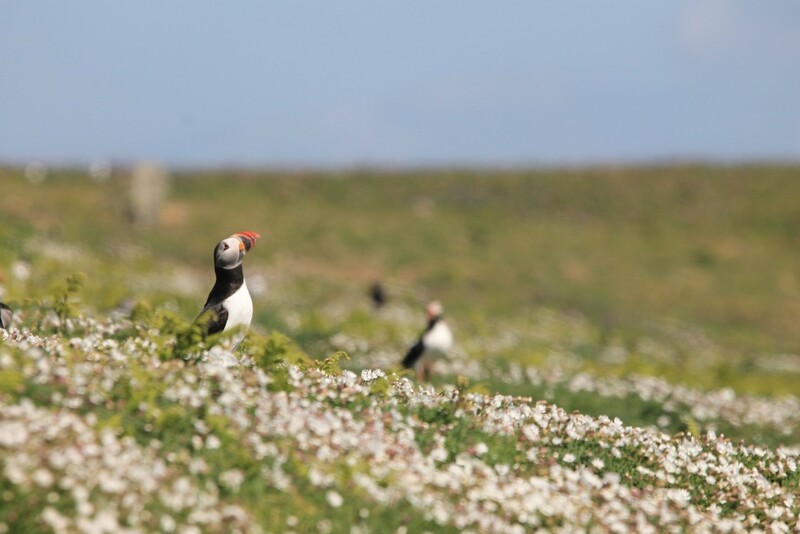 These particularly shy birds are recorded only rarely on the island during summer but by using these hidden cameras, we have been able to regularly get some great views! It was not just water rails that were seen however. 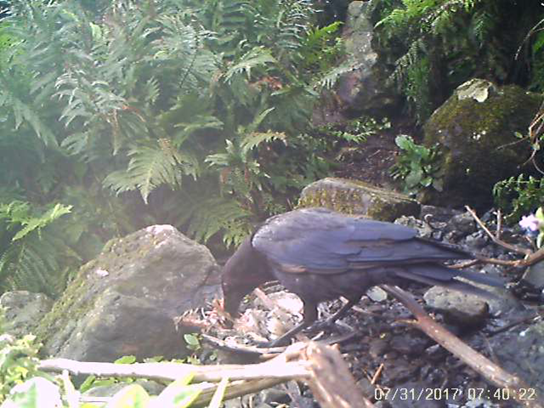 Our cameras also recorded fighting shearwaters, a puffling recently emerged from its burrow, foraging wood mice and even a dead shearwater that attracted gulls, crows and magpies to feed on it. All in all, it’s been really interesting to see what goes on when we’re not looking! In total, we’ve recorded over twenty species of animals (not counting the clouds of moths that were seen at night! ), with everything from passerines such as Whitethroats and Sedge Warblers, to much larger Lesser Black-backed Gulls, Pheasants, Moorhen and (of course) an Otter. Perhaps the most interesting observation however, was just how curious our magpies are! 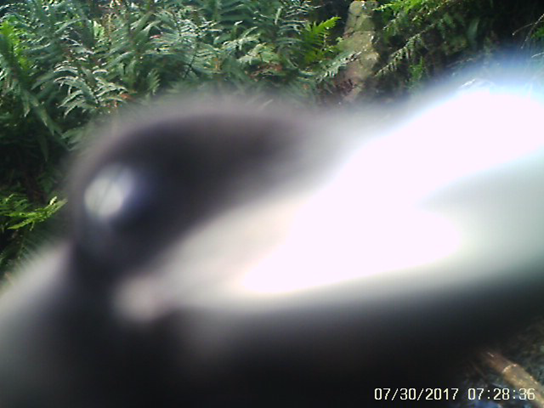 While none of the other birds or mammals paid any heed to the hidden trail cameras, the magpies very quickly picked up that something new was in the neighbourhood, and spent quite some time pecking at the screens trying to work out what these strange new objects were. 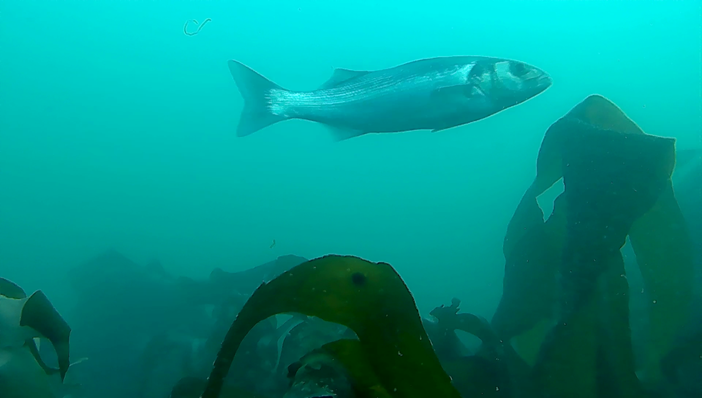 While the trail cameras have been recording shy species and interesting behaviour on land, Jake, one of our Long Term Volunteers, has been putting out an underwater time lapse camera in North Haven to monitor the fish species that pass by. The kelp beds by the edge of the cliffs have proven to be particularly rich in life, with sea bass being regularly seen there, along with ballan wrasse, two spot gobies and shoals of both adult and juvenile pollock. 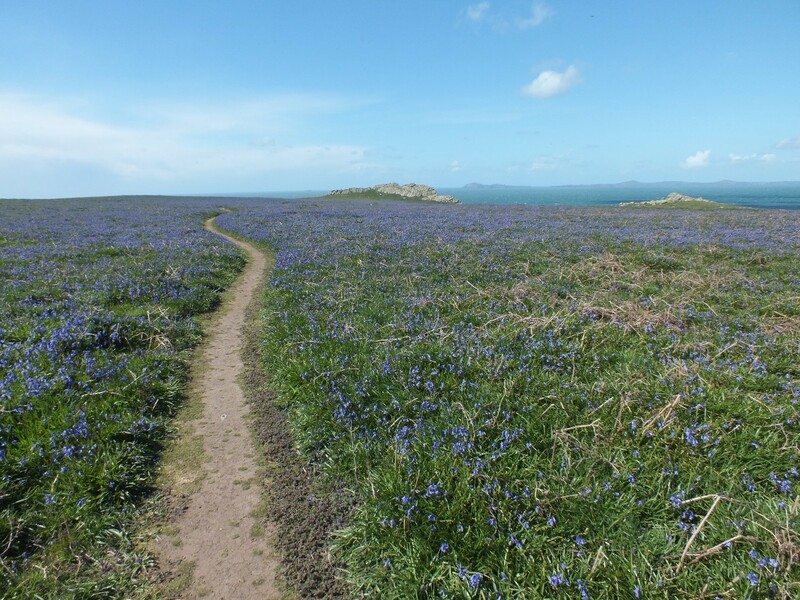 With autumn starting to set in and my three and a half month stint on Skomer Island as a Long-term Volunteer (LTV) over, it is natural for me to be reflecting on change. 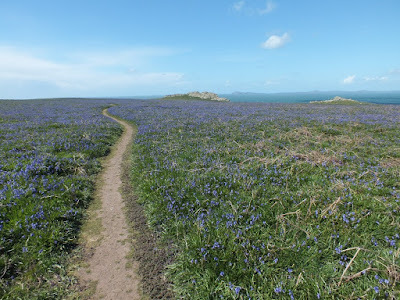 Change turned out to be a very visual aspect of the habitats and wildlife on Skomer Island especially with the Wildflowers. Finally a splash of yellow was added to the mix in July with a touch of Ragwort supporting a burst of insect activity including Cinnabar moths, butterflies and bumblebees. The Animal life also changed over the season. 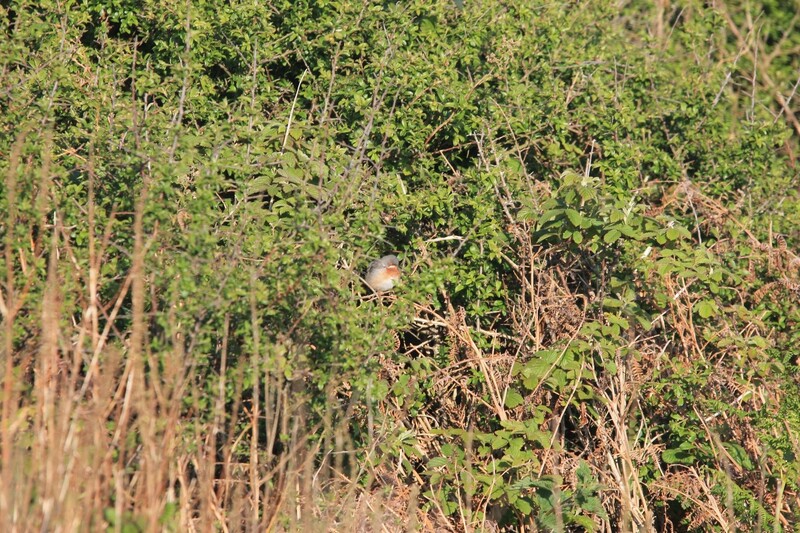 I arrived at the beginning of the spring bird migration, with the spectacle of dozens of Willow Warbler and Chiffchaff and a few rarities like Black Redstart, Sub Alpine Warbler (pictured) and Dark Eyed Junco. As for the famous Auks, I arrived as they started to return to the Island at the beginning of April and left around the time they did too by mid July. 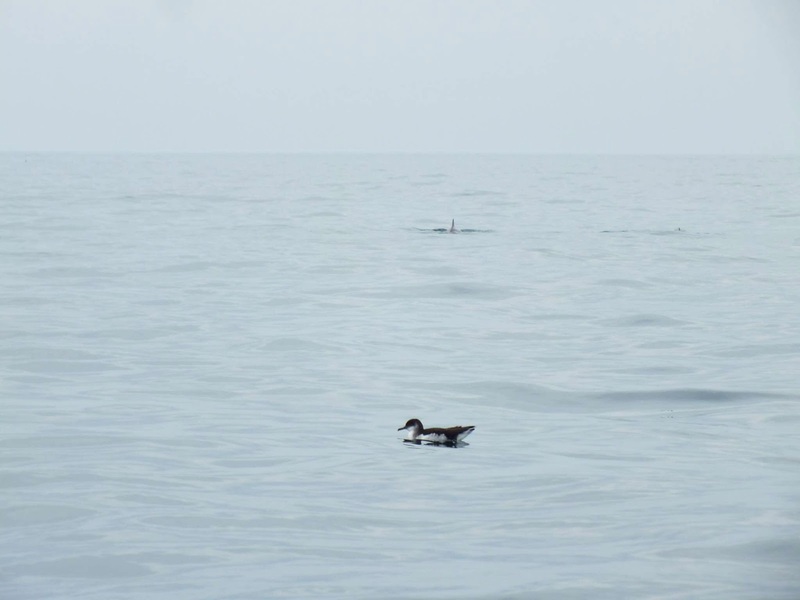 I had the privilege of watching them complete their breeding cycles and I was overjoyed when we found out that after hours of fieldwork and boat work that all species of Auk counted in 2017 were doing well or increasing in number on the island. The marine life also changed with the seasons. In April I was greeted by up to 80 grey seals on North Haven beach in what is called a “haul out” where they arrive to moult, although one enterprising male preferred to find his own personal haul out. 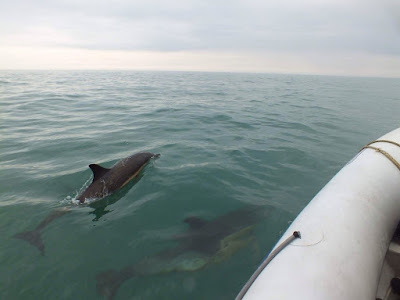 The marine sightings really started to pour in during the summer however, where, replacing the seals, I was able to see Porpoise (almost daily), Common Dolphin, Sunfish in North Haven, Risso’s Dolphin and Barrel Jellyfish. 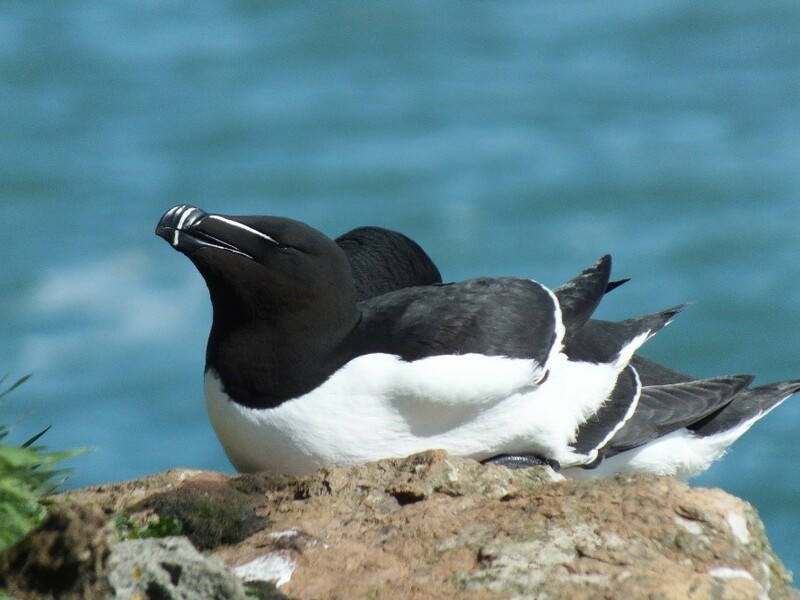 Sea watches were also increasingly accompanied by the Skomer icon, the Manx Shearwater. The new LTV’s will be enjoying different phenomena in the second half of the season. 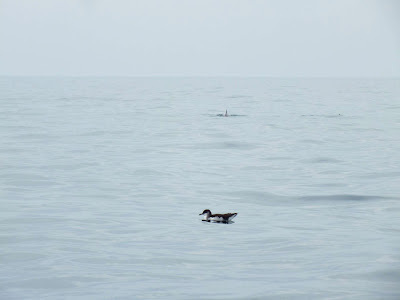 The seals have returned to pup on the beaches around the island, and many of the 300,000 pairs of shearwater have left for Argentina as well as their chicks who are currently in the process of fledging. 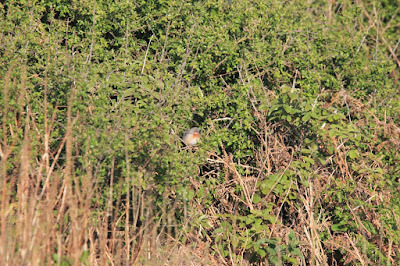 Other visitors to the reserve, in the form of Weekly Volunteers, always provided welcome new additions to the small community we have on the island. Being a weekly volunteer remains one of the best ways to experience the wildlife on the island, and definitely prepared me for my time as LTV. It also allows you to see the island in a new way and is a brilliant way to connect with the wildlife and scenery. Thank you to all the staff, researchers, Weekly Volunteers and visitors who made my stay so enjoyable. I hope to be back soon. 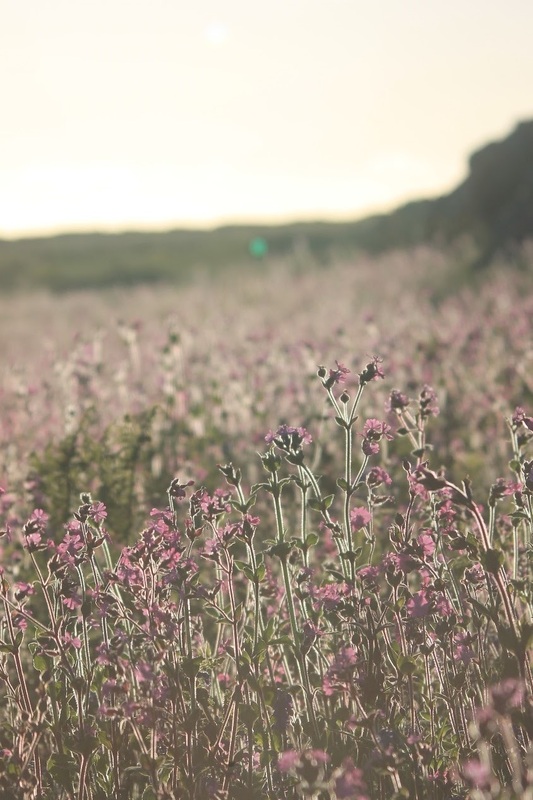 If you are interested in becoming a Weekly Volunteer Assistant Warden please visit the Wildlife Trust of South and West Wales here.